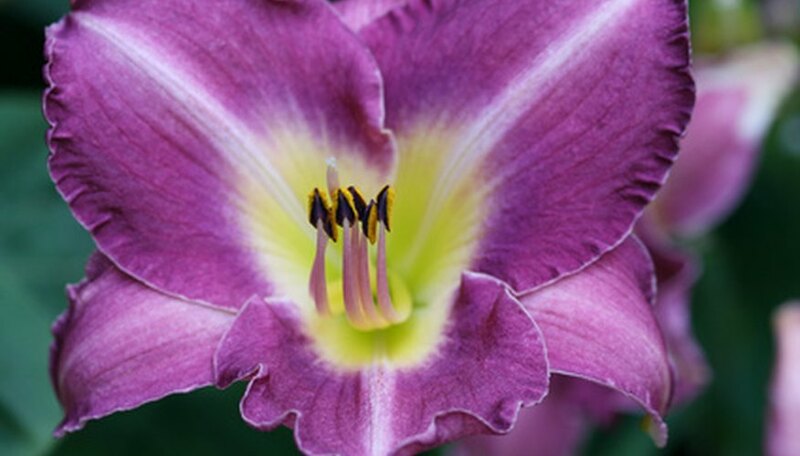 The hardy nature of daylilies, combined with their lush foliage and bright flowers, makes them one of the gardener's favorite flower species, according to the University of Vermont. Though the flowers thrive in all soil conditions, the plant will respond positively to specific daylily-friendly cultivation strategies. Take the appropriate steps during the fall to tend to your daylilies to encourage an exuberant display of blossoms the following year. Plant the daylilies if you haven't yet. Early fall is the best time to plant the flowers, according to the University of Rhode Island. Bury the crown of the daylily clump--the section of the plant where the plant's leaves meet its root base--approximately 1 inch beneath the soil surface. If you're growing more than one daylily plant, space each plant apart by 2 feet. Water the daylilies immediately after you've planted them, applying enough water to moisten the dirt to a depth of 6 to 8 inches. Afterward, water the plants once a week, recommends the University of Florida. Though daylilies are extremely drought tolerant, regular irrigation will encourage many blossoms. Fertilize the daylilies once in the fall and again in the spring and middle of summer, suggests the University of Florida. Use any general fertilizer with a 3-1-2 nutrient ratio (i.e., a 30-10-20 or 6-2-4 product), spread at a 3/4 lb. for every 50 square feet of flower bedding. Prune the daylilies as soon as they turn brown and enter dormancy, recommends the University of Vermont. Completely remove any dead foliage, and trim the rest of the daylily plant down to a height of 2 to 3 inches.